We’re all familiar with the concept of holograms (the overt security feature seen on our driver’s licence), the traditional and effective method to strengthen and discourage counterfeiting of an ID card. That is why the hologram is so effective….and expensive. Until recently, this was regarded as the only effective method to offer a uniquely high level of tamper evident security. A few years ago, a card printer manufacturer developed an economical solution to the hologram that was only great for your budget, without offering genuine visual security. ID Supplies is proud to present the next step forward in affordable technology that can ensure the authenticity of your cards: Tactile Impression. What is Datacards tactile impression? 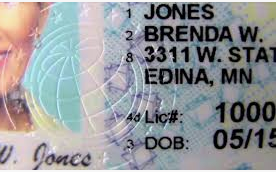 Tactileimpressionis the use of a die (custom or generic) to imprint a permanent stamp into the PVC ID card and is one of the most secure and cost-effective form of on card security. The stamp is impressed into your card during the print process, allowing an attractive, easy to spot visual solution on your card to verify that it’s authentic. If you wish, you can combine this with holographic laminate film to discourage counterfeiting. Cost Effective – Does not compromise the overlay seal, extending the lifespan of the card significantly compared to overlay based hologram effects. It is not as expensive as laminate-based hologram products, and substantially cheaper than laser engraving systems. Overt – No need to tilt the card in the light to find the hologram as needed on some printing methods. Instantly spotted visually and can be felt when handling the card. Permanent – Does not wear out in time like overlay-based hologram/coat systems. 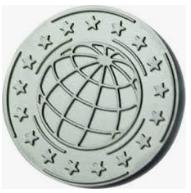 Secure – A customised die will be kept unique by the factory and will not be made available to anyone else. Without access to the die, it is all-but-impossible to duplicate the card. The tactile impression will also ensure any attempt to remove the laminate film will result in tearing, making any tampering attempts obvious. Ready to take the first steps in securing your organisation? We have the solution for you ready when you're to purchase.